Happy Sunday, everyone! 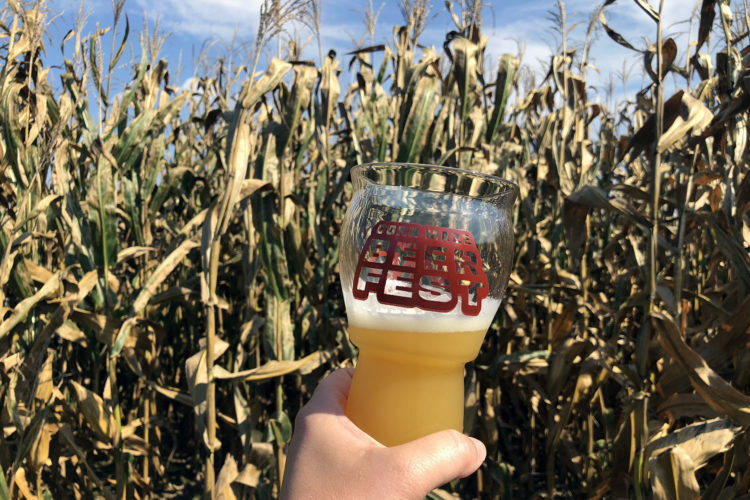 We’re winding down from a fun weekend that included one of my favorite fall traditions: 450 North Brewing’s Corn Maze Beer Festival in Columbus, Indiana. 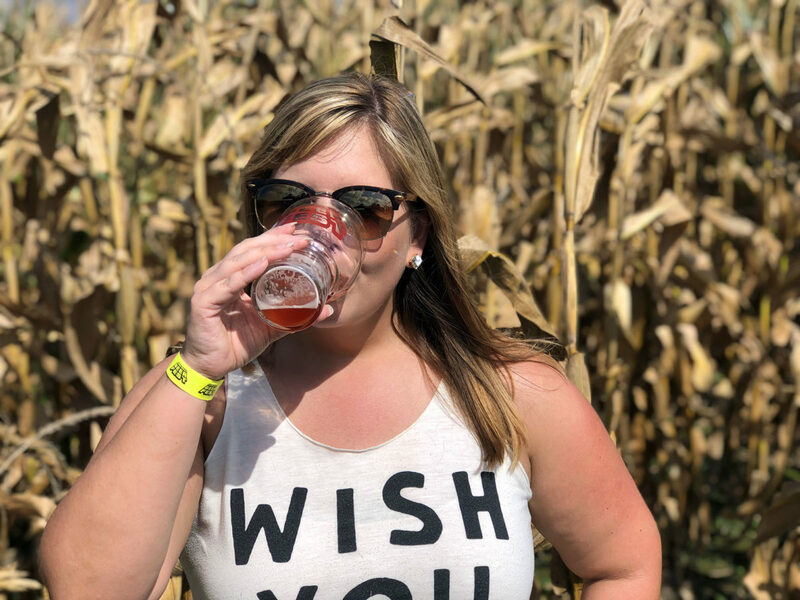 It’s exactly what it sounds like; we spent the day sampling Indiana brews while making our way through a corn maze. I don’t know if it gets anymore Midwestern than that! 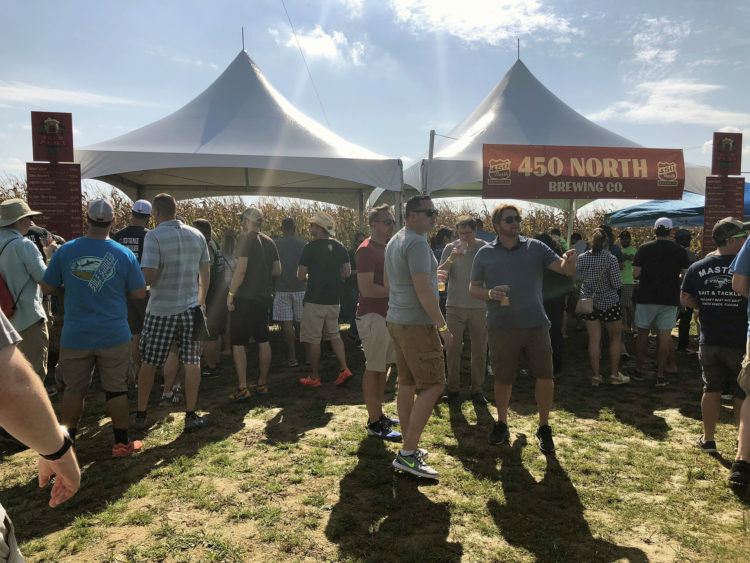 450 North is located on a farm in Columbus, which is about an hour from where we live in Bloomington. In addition to making beer, they also produce cider and wine. And, they have great pizza! The taproom closes for the festival, but it’s worth making a return trip to check it out. This event is still in its infancy, as this was only the third year of the fest. My friend Andrea and I have been going since the beginning, and it’s fun to see what changes every year. The maze seemed bigger this time around, with more breweries in attendance. I love this beer festival because the setting is so unique. There also tend to be quite a few smaller Indiana breweries there. That means I end up discovering a lot of great, new places. We once again opted to get VIP tickets to the festival. It’s so worth the extra money! You get into the maze 1.5 hours before the general admission crowd, which means the lines for beer are minimal. 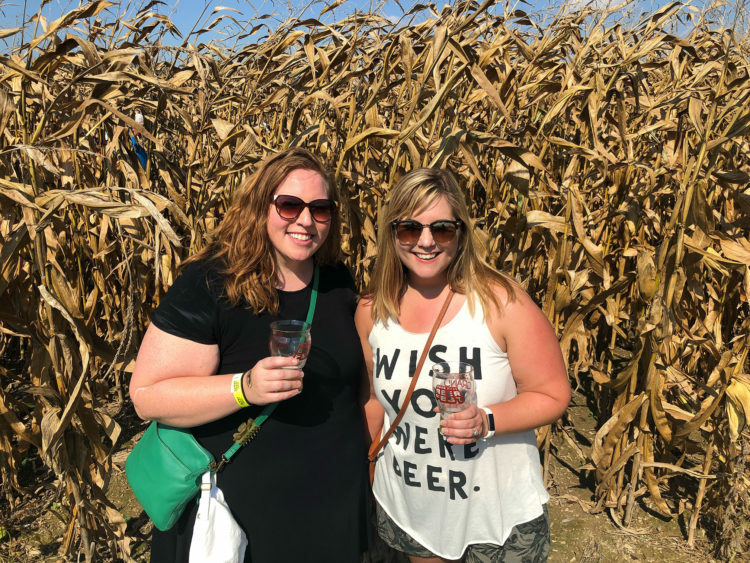 We were able to hit up all of the breweries we really wanted to try before everyone else got into the maze. Here are my favorite brews from this year’s festival. 450 North always has some special releases the weekend of the festival, and I always look forward to seeing what crazy brews they put out. This one was at the top of my list, although I’m not usually a huge pumpkin beer fan. This Milkshake IPA is hoppy up front, with just a subtle hint of pumpkin and vanilla on the back end. I loved how the bitterness of the hops helped balance out some of that sweetness. We tried to grab some cans on our way out of the festival, but were sad to see them sold out. This is a delicious seasonal beer, if you can find it! It was in the upper 80s during the festival, so I found myself gravitating toward a lot of lighter styles. I haven’t had many beers from Central State, and this Leipziger-style Gose with sea salt and watermelon sounded so refreshing in the heat. And, Central State uses Indiana watermelons to give this brew its fruity flavor! We may be well into October, but I have a feeling I’ll be sipping this summer beer all year. 3. Banana Foster Stout, 2Toms Brewing Co.
I’d never heard of this Ft. Wayne brewery, but I was immediately intrigued by the sound of one of its stouts. This is a style of beer that’s taken me a few years to enjoy, but now I find myself reaching for stouts more and more. I love their warmth and hearty flavor as the temperatures start to drop. I could barely taste the banana in this beer, but it lent the perfect amount of sweetness. I’m hoping James and I can make a stop at 2Toms next time we are heading north. 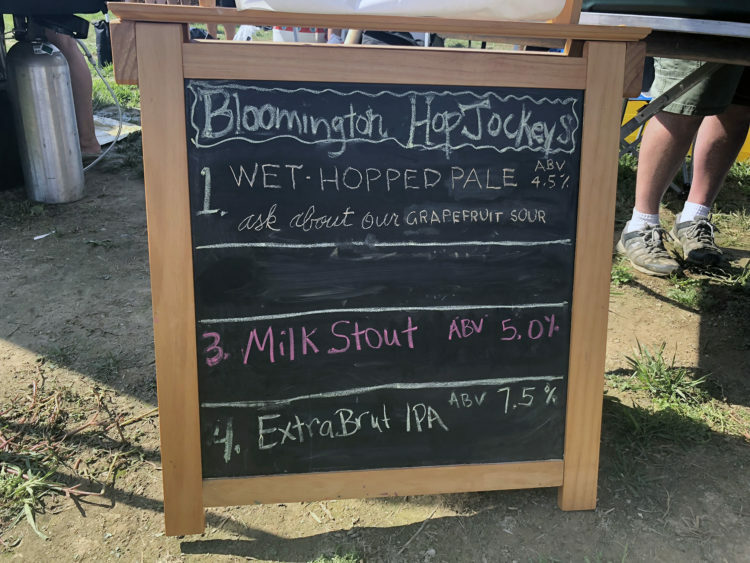 I was so excited to see Bloomington’s homebrewing club represented at the festival! James and I want to get involved with the club as we take on my dad’s tradition of homebrewing, and that desire is even stronger after sampling some of their beers. Two of their brews ended up being my favorites of the festival. I love citrus flavors in beer, so I started with the grapefruit sour. Grapefruit has such a strong flavor on its own — it can easily overpower the other notes in a beer. But, this sour was perfectly balanced. The club only brought a couple growlers of this particular beer, and I was so happy we got a taste before they ran out. I haven’t had many IPAs of this particular style, but I really enjoyed the crisp finish. I love juicy, hazy IPAs — but they’re everywhere right now. I really appreciated how different and dry this Extra Brut IPA was. I wish I would have snapped a picture of the beer, because its light color was not what you’d expect from an IPA. It was absolutely delicious. This year we left the festival with a four-pack of special release beer, which is included in the ticket price. I think this is another aspect of the festival that makes it well worth the money. I’m excited to crack open the Double IPA and Belgian Tripel later this week! We always have a blast at this festival, and I’m so glad we’ve made attending an annual tradition. My husband tagged along for the first time this year, and it was fun to finally share the experience with him. Cheers to another great year of beer!